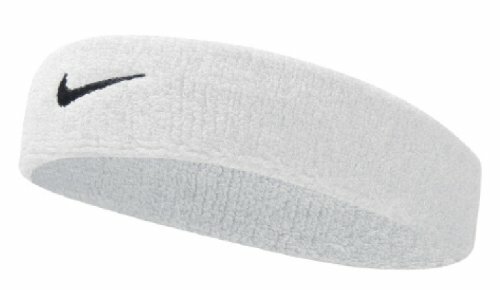 On the rugby field, at the gym or out running; this Nike Swoosh Headband will help keep you cool and prevent sweat dripping so you concentrate on your performance. 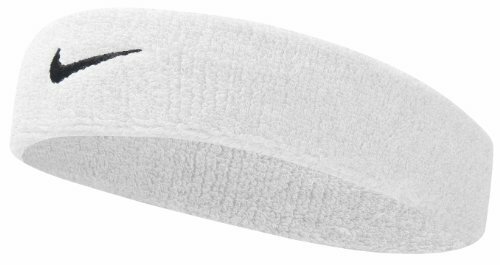 Made from 69% cotton, 26% nylon, 5% rubber, the headband extends to fit any head size and accompany your sports kit. A fresh plain white tone is complemented by the iconic Nike swoosh stitched in black over the front.